Bitter gourd, either you love it or hate it. I have seen many people who initially hated this bitter, odd looking vegetable and lately fall in love with it. It takes many meals over years to develop a taste for Hagalakai, as we call it. But there are some who still don't seem to come in terms with this vegetable even after they have had upgraded their wardrobe from sneakers to tailor-made pants;) Unlike my siblings, who are still struggling to acquire taste for this vegetable, I have grown up appreciating its rich bitter and pungent flavour for some strange reasons which are unknown to me. I was always a picky eater as a kid and my love for this bitter vegetable was unsolved mystery to my parents. Every fortnight my Amma made it a point to cook some bitter vegetables and bitter gourd always topped the list. We always had bumper crop of bitter gourd growing in backyard and hence there was no chance of Appa pretending to have amnesia when asked to buy them. 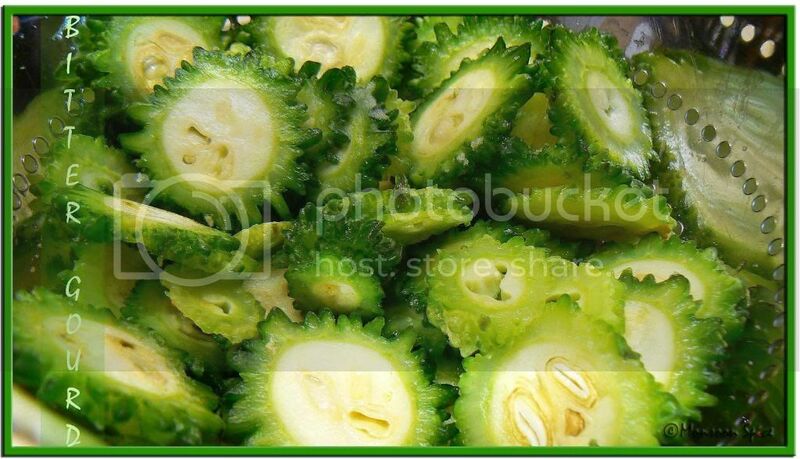 The vegetable is reported to be a blood purifier, digestion enhancer and stimulating agent of liver. And now when your read how good Bitter Gourd is for your health, all grown-up and mature ME (!!!???) can’t ignore it right? No fat chance! When my sister and brother would run a mile at the bare mention of this vegetable, I would happily lick my plate clean whenever Amma made Bitter Gourd dish. One such recipe from my mother’s large collection is Hagalakai Saaru, roughly translated as Bitter Gourd Rasam where bitter taste of Bitter Gourd is lightly concealed with the sweet Jaggary, sour Tamarind and spicy blend of spices. This mixture of five flavours- bitter, sweet, sour, salty and spicy defines the taste of life in a bowl. I love to eat this lightly bitter, spicy, tangy, sweet Saaru with aromatic Basmati rice with a dollop of Ghee and Tender Mango Pickle. Cut thin round slices of bitter gourd, about 1 packed cup, and add little salt to it. Mix well and keep it aside for at least 30 mins. This way the bitter taste of bitter gourd will be released from them. After 30 minutes or so squeeze as much of water as possible from these bitter gourd slices. Wash them with cold water and drain and keep aside. Mean while, soak tamarind in hot water for about 10 minutes and extract its juice and keep it aside. Heat oil in a pan and add mustard seeds to it. When mustard starts to pop and splutter, add halved dry red chilli, hing and curry leaves. Sauté it for few seconds. Mix chopped onion, garlic and sauté on medium flame till they leave raw smell and lightly browned. Add slit green chillies, bitter gourd slices, ginger and mix well. Keep sautéing for about 5 minutes till bitter gourd turns light brown. Mix in tamarind juice, about 1 cup of water, jaggery, turmeric powder and salt to taste. Bring the mixture to gentle boil at medium flame. If required add more water and add rasam powder and red chilli powder. Check for the seasoning and make changes according to taste. Cook on a low to medium flame for another 5 minutes and bring it to boil. Switch off the flame and add chopped coriander leaves. Cover and let it sit for about 10 mins for the flavours to blend well. Serve hot with steaming bowl of rice and pickle and enjoy this bitter goodness. 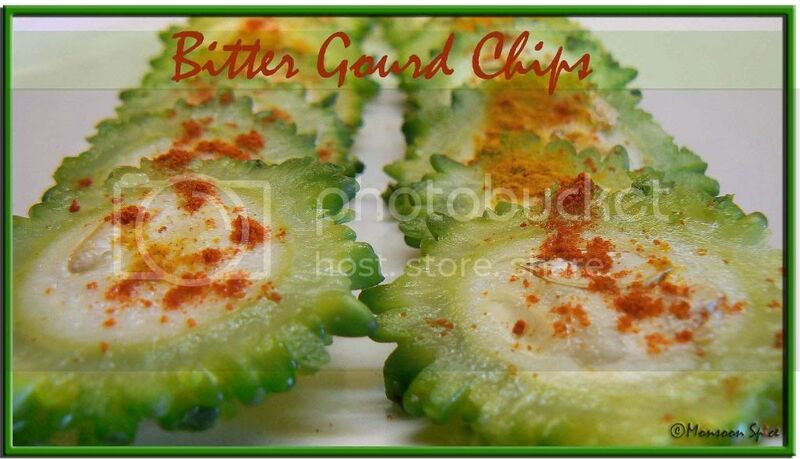 Another recipe I tried over weekend was Kay’s No Fry Bitter Gourd Chips. Being a bitter gourd fanatic I couldn’t resist trying this recipe which is not just simple to make but also uses very less oil and not much work is involved. I made little changes to the ingredients used and simply followed her recipe. Thank you Kay for this wonderful recipe. Try them to see how good they are. Slice bitter gourd to thin round slices using mandolin or knife. Mix in oil, chilli powder, turmeric powder, amchur and salt and marinate for at least half an hour. Pre-heat the oven at 375 F. Arrange the slices neatly in rows, on a foil covered baking tray and bake it in a middle rack of the oven for about 10 mins. Place the tray on top rack for 3-5 mins so that chips becomes crisp and brown or else broil them. Watch them closely and make sure that they don’t get burned. That’s it. 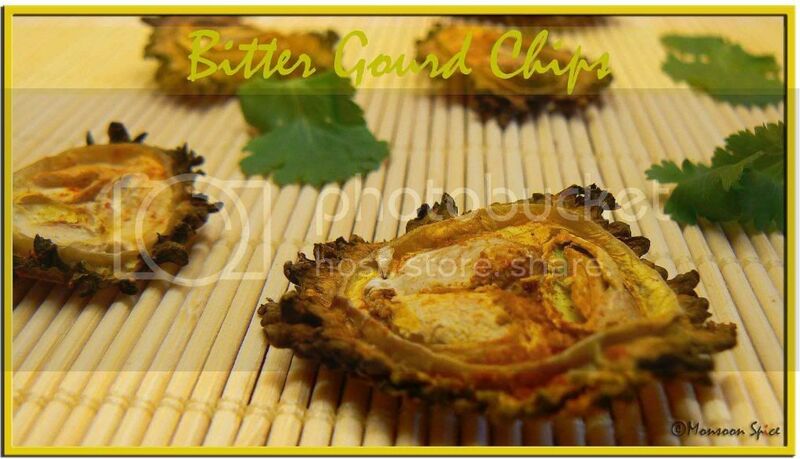 Serve bitter gourd chips with Rice and Rasam and enjoy. I love the no fry bitter gourd chips. Bitter gourd is very good for health. 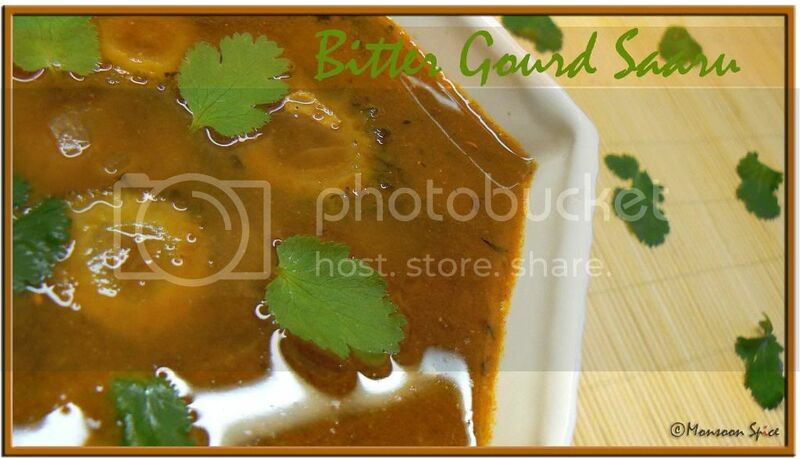 Very nice recipes with bitter gourd. I want to try the bitter gourd saaru. Hi Sia, I have tasted BG chips in India, never tried making at home. BG gojju is for sure a nice dish, its my hubby's fav. Got ur mail, and I am working on it. oh the ppictures look good, though I am no bitter gourd fan, I have one ardent fan in my hubby!...if you love this veggis so much, then try out my recipes, you will surely like them a lot! thank you girls:) do let me know when u give it a try. its not all that bitter when cooked with tamarind, rasam powder and jaggary and adjust the ingredients acc to ur taste. here is the link to pooja's event. Sia, me too, can't remember when I got hooked on to bitter gourds but now they are a favorite. Bitter Gourd Chips look delicious and so does the Saaru. Perfect with rice and dal. I have always liked Bittergourd Sup, My mom n sis are experts in making stuffed bittergourd and sliced bittergourd fry. So i have always enjoyed just these two and now I see a third one, Saaru shouting at me to try once!! Saaru and fry both look delicious. Bittergourd and bitterness...loved it when my mom used to fry it with sliced onions! This is a variety here! Nice way to cook bitter gourds. The chips look so yummy. Thanx. I hated the this veggie when i was home. Mom used to make different ways and i still don't like them. I have been trying to contact you. Could you please email me please? we love hagalkai at home sups! Never had bittergourd rasam! new to me... surely will have to try it sometime! I had no clue until i landed to bitter gourd page. Really hoping for bitter chocolate recipes :) .... By the way , the chips are very popular in sweet shops. The gravy has a little twist with the rasam powder. "It takes many meals over years to develop a taste for Hagalakai, as we call it." wrong. for me it was love at first bite. i like it nice and bitter, not masked with jaggery and things. I always make gojju with it.This is a new recipe to try. Beautiful presentation Sia. Love those chips, and they are no fry! Too good! The saaru must have tasted delish too, with all the flavors in it. I loved bitter-gourds when i was very lil', was off them for a long time and fell back in love again :-D.
We love hagalkai at home. Knowing the benefits I make the chips at home almost alternate day. I do it in MW however. 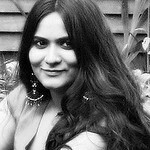 I loved your saar idea and will surly give it a try. I love pavakai too and so does the rest of my family. Stuffed bittergourd is one of my favourites, but love tryin out new recipes. hey i love bittergourd too.. i make saaru in different way by adding lil bit of grated coconut..can i hv some of these? Like the title, Sia! I eat bittergourd if it's salted and squeezed to death, or when it's cooked with jaggery. We Telugus make a great stuffed version. I've got to tell you, you've one more member in the BG Club. I love this vegetable cooked anyway. Don't mind the bitterness at all. wow sia, yum hagalkai saaru great one :) love it... we love this vege anyway cooked... never thought of saaru nice one..
oh wow!!! good to see so many BG lovers like me here. i thought it was one (wo)man's army;) he he he..
joke apart i would love to learn more recipes using this gourd. i haven't ventured into making stuffed karela till date but planning to try soon. so please do post ur recipes of BG. I am firmly in the LOVE camp. very nice healthy recpie.i have tried it and came out good.